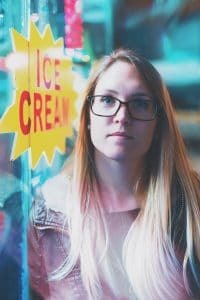 Maintaining Frozen Custard Machines is one way to make sure your business keeps its reputation. Keeping them in tip-top condition ensures customers will come back time and time again. If you own a frozen custard store, you want to be able to serve your customers the best frozen custard for as long as possible. After you’ve purchased a high-quality frozen custard machine, it pays to devote a little time and attention to cleaning and maintaining it. Thus, this will prolong the life expectancy and ensure you produce first-class frozen custard. You want your customers smiling, not frowning, when they leave. Cleaning is essential for preserving high quality standards. In addition, it helps protect your frozen custard machine from damage. If you own an ice cream or a frozen custard store, you’ll be required to maintain high standards of cleanliness and hygiene. This will ensure your customers buy optimum-quality products that are safe to consume. Frozen custard machines should be cleaned thoroughly on a regular basis. 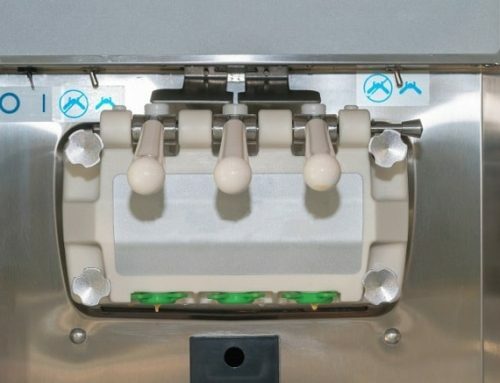 Before you start cleaning your frozen custard machine, check for these three key factors. 1) Make sure the setting is not on auto; 2) the machine is not to cold and 3) the refrigeration is on. You don’t want to damage the unit by using freezing cold water. Use lukewarm water to rinse the machine and wash away larger mounds of frozen custard or ice cream that have stuck to the surface components. Once you’ve done this, it’s advisable to use a cleaning solution to get into the nooks and crannies. This solution will make sure the tubes and barrels are clean and free from debris. Cleaning products that are designed for frozen custard and yogurt machines work more effectively than traditional detergents. The reason is because they are formulated to break down oils and dairy fats that tend to gather inside the machines. Before you use the machine again, run a sanitizing cycle. Empty your machine and keep up to date with your cleaning schedule. Don’t use the machine when the barrel is empty. Address issues as quickly as possible. If your machine isn’t working as normal, try to identify and solve the problem swiftly. If you don’t see an obvious fault, contact the manufacturer. Use lubricant as advised by the machine manufacturer. Keep hoppers free from candy, sprinkles and jellies. Replace parts in line with manufacturer recommendations. Some components will last up to 12 months. Conversely, others will need replacing every 3-6 months. Seek expert advice if you have any queries. That would be Tony Carey, our founder and owner. Keep an eye on the drive belts; look for signs of wear and tear. As a frozen custard store owner, you want to provide your customers with the best product. The easiest way of doing this is ensuring your equipment is in excellent working order. Preventative maintenance and regular cleaning, sanitation and lubrication can help you deliver the best frozen custard for a longer period of time.